Many family great family memories are forged in that time, just after dinner, when everybody sits down in front of the television to enjoy an engaging story, good laugh, or sometimes a thought provoking documentary. 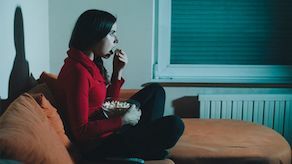 Situation comedies are great for these family get-togethers because they provide us with relatable stories peppered with that always wrap up in a nice happy ending. That’s why I have decided to pen this list of the top ten classic sitcoms, these shows are full of wacky and sometimes heartwarming stories that are sure to add some extra fun to your family TV time. Cheers is a show that ran for eleven seasons between 1982 and 1993. It stars Ted Danson, Rhea Perlman and Kelsey Grammer. The show is centered around a bar located in Boston called Cheers that is the social gathering place for a cast of characters including a mail man, a psychiatrist and a womanizing bartender. Good Times made history as America’s first African American family sitcom. This shows follows the lives of a mother, father and their two children as they deal with life’s trials and tribulations. The show is at once humorous and thought provoking often touching on issues both topical and timeless. 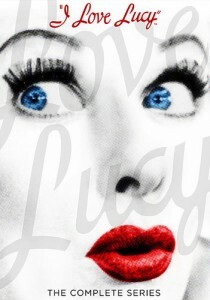 I Love Lucy is perhaps the most popular sitcom of all time. It originally aired from 1951 and 1957. The show focuses primarily on the wacky antics of the title character Lucy who is married to a bandleader named Ricky. Lucy often find herself embroiled in odd schemes and far-out situations, often involving her friend and neighbor Ethel. MASH is an acronym for the fictional Mobile Army Hospital Unit. The show, though filmed in the seventies, takes place during the Korean war and centers on the misadventures of Army surgeons Hawkeye and Trapper who often use humor to get through difficult situations. Golden Girls tells the story of four older ladies who live together in a house in Miami. This show was unique in its ability to tell stories centered around elderly people in a manner that made them relatable to larger viewing audience. Frasier was a long running spinoff of Cheers spotlighting the character Frasier Crane. In this series Frasier has left Boston for his native Seattle and moves into an apartment with his salt of the earth father and a loopy english physical therapist. Frasier, who hosts a popular radio program where he offer professional psychiatric advice, often finds himself at odds with his friends, family and coworkers due to pomposity and pretentiousness. 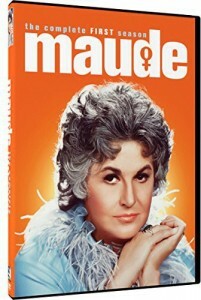 Maude was mid-seventies sitcom about a well-intentioned but often misguided liberal housewife and her husband Walter who live with Maude’s divorcee daughter (who also has a child). The plot lines of this show often invoke themes of family and its relation to society. Friends was a sitcom about a friend group of young professionals living in New York City. 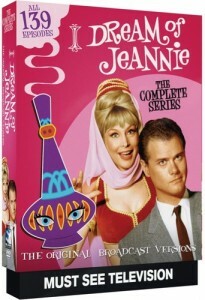 Episodes of the show varied widely in subject, but mostly focused on romantic and professional struggles which were often resolved after a series of comical mishaps. I dream of Genie is a wonderful, child-friendly sitcom about an astronaut who becomes the master of a 2,000 year old giene after freeing her from a bottle. Hilarity ensues as the captain tries to navigate life with his new companion in toe, often creating as many problems as her magic solves. Green Acres is about rich socialite and her attorney husband who move to a rural farm to realize the latter’s lifelong dream of living the simple life. This often proves challenging due the fact that the husband is much more adept at practical tasks than his wife. I hope this list of the top ten classic sitcoms has provided you with some good options for family viewing. All of these shows are wonderful examples of the kind of great art that television can bring into our homes.